For generations, a landline phone connection was the hallmark of a reputable business, a company’s main method of communication with its current and potential customers. However, skyrocketing rates and evolving technologies are quickly leading to the decline of traditional voice calling. VoIP is one of the most exciting alternatives to landline voice calling, offering the same utility along with a range of advanced features such as visual voicemail and standard Caller ID. VoIP also offers much more affordable pricing than with established phone carriers, and small businesses will especially appreciate the benefits VoIP calling provides. One of the main reasons VoIP calling has become such an attractive option to business leaders is the cost-effective service it can provide. Where landline companies are bogged down with outdated and expensive infrastructure as well as regulatory complications that often drive up the price for the consumer, iiNet’s phone systems forbusiness make use of your existing Internet connection to deliver high-quality calls across its proprietary network, delivering high performance at low cost. VoIP calls can also be routed through a smartphone over a WiFi connection to save on mobile calling costs. Another advantage that VoIP calling offers when compared to traditional landlines is unrivaled mobility. A VoIP connection is contained within the equipment itself, meaning that it can be easily transported wherever business takes you as long as you have access to a phone jack and Internet connection. Even better, VoIP service can be configured to send notifications to multiple phones and devices whenever you receive a call, so you’ll never miss a curious customer. 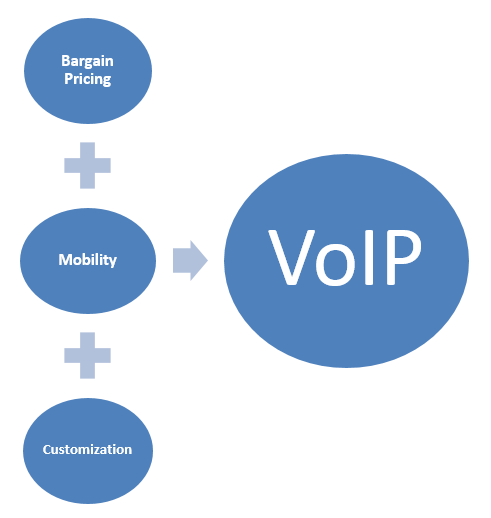 VoIP also offers significant potential for customization. Many VoIP providers allow clients to choose their own phone number from a list of available numbers, and even select their own area code to better identify with an area or target market. VoIP can also quickly be adapted to meet the changing needs of a growing business, as lines can easily be added, reassigned or deleted as needed unlike traditional landlines. VoIP is not only an entirely viable alternative to landline voice calling, it’s actually a superior option in many aspects. The convenience, options and value delivered by a VoIP phone system are impossible for a traditional phone carrier to match, and getting started with VoIP is as simple as getting a VoIP-enabled phone or an adaptor for an existing handset. Information: This is a Sponsored Post.